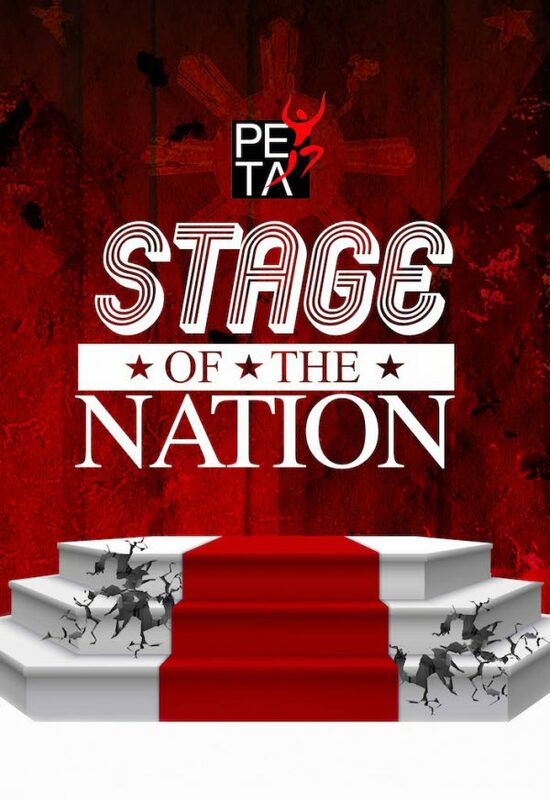 The Philippine Educational Theater Association (PETA), launches “Stage of the Nation” — a creative campaign that tackles the country’s current political and social climate. For the next 9 months, PETA will make use of their extensive arts experience to mount wide-ranging productions: from musicals, film screenings, comedy shows, spoken word shows, and education programs. 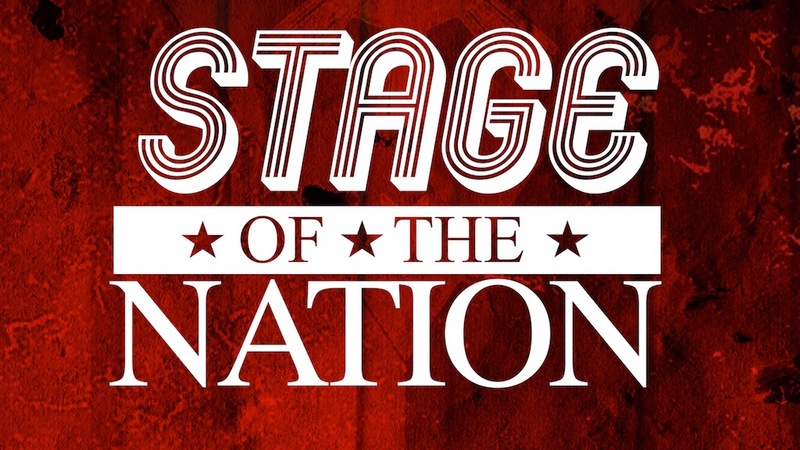 One of the goals of “Stage of the Nation” is to inspire face-to-face conversation and discussion, instead of just going back to our corners on social media. Thus, all shows will hold debriefing sessions after the performances, to give audiences space to reflect and react to the art presented to them. The story of 16th century scientist, Galileo Galilei, embodies the illuminating and forceful arguments of religion and science. PETA’s original martial law musical for millennials. Through music and humor, the show tackles various topics such as historical revisionism, false heroes, fake news, apathy, and misinformation. Jon Santos’ original satirical live comedy show which spoofs Donald Trump, Rodrigo Duterte, and other political figures. A 3-year program that aims to tap 6-8 universities all over the country to help develop young people’s thinking towards innovative thinking and problem solving. This program hopes to engage young people in important social concerns to help them become informed, responsible, and proactive citizens. The project directly targets students to become cultural creatives as well as basic education teachers as innovators in classroom education. PETA’s newest children’ musical production tells the story of a young boy who embarks on a magical adventure to find the imprisoned characters of stories in a dark realm of fear and forgetfulness. As he goes deeper into his quest, he discovers the power of imagination and creativity and deepens his understanding of love, friendship and courage. Noel Cabangon, Romeo Dongeto and Rene Boncocan are back together as Buklod, one of the most popular protest music groups in the 80’s and 90’s. Buklod is launching a new 10-song album called “3 Dekada: Ang Muling Pag-awit”, with three originals from each member plus a refreshed version their 1991 single “Tatsulok”. PETA will be working with some of the most vulnerable communities affected by the War on Drugs, such as urban poor communities in the cities of Caloocan, Malabon, Navotas, and Manila. PETA hopes to be able to assist these communities in finding ways for them towards recovery and rehabilitation. 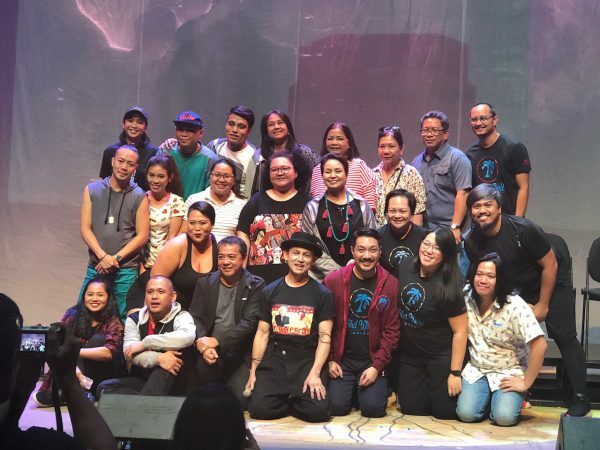 PETA’s newest musical will present Philippine current events for the freak show that it is, imagining a new future under the new charter and its consequences. It will showcase how ridiculous we have allowed our country to be, and how more hilarious it will become. A series of film screenings featuring the works of Chito Roño, Chuck Escasa, and more, to be held every Wednesday at the PETA Roofdeck. 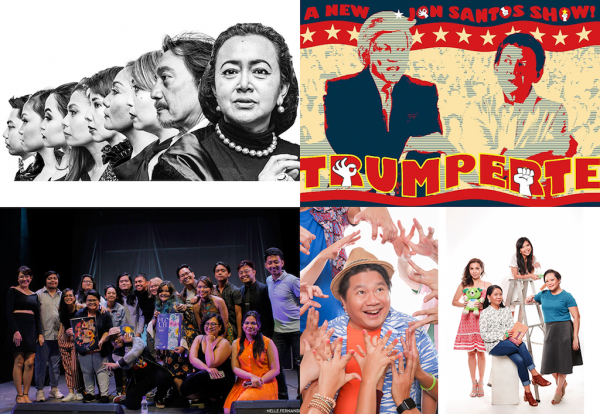 Third World Improv and PETA present the Manila Improv Festival 2019. Created by Silly People’s Improv Theater (SPIT), MIF 2019 will feature improv acts from all over the globe. Words Anonymous is a group popularly known for spoken word performances. Apart from their romance-filled poetry, they also tackle a variety of important themes such as human rights, mental health, equality, LGBTQ issues, women empowerment, and other topics. Dulaang UP comes to the PETA stage with their much acclaimed production, exploring how different generations can use art as a unifier in this current tumultuous climate. Creative Director of Theater Fans Manila. Does sales and marketing to pay her bills and fund her dreams. Find her on Twitter. Previous REVIEW: Unapologetic females in "A Doll's House, part 2"